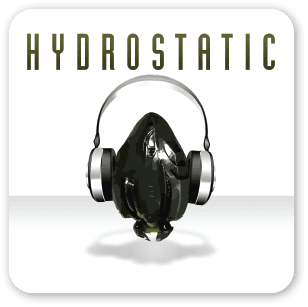 Hydrostatic Podcast is made up of a variety of segments. Here, we've included a list of those segments, as well as a link to all of the shows that include that segment. Usually a quick question to get the discussion going, Ash tends to ask these at the beginning of the show as a way to find out how the hosts and guests are feeling and how they approach various parts of the game. If you have a question for the panel, submit it to our email or twitter. In Know your Lore, Phy researches and tells the story of a part of the backstory and fictional history of New Eden while the other hosts and guests interrupt to ask him questions. A list of topics covered in the Know Your Lore segment. And the Know Your Lore Archive of just the Know Your Lore segments from each episode. The hosts and guests answer questions submitted through email and twitter. The Metagame segment focuses on something that players do around Eve Online that directly affects it. Often, this focuses on real-world skills that apply to the game and strategies for interacting with people rather than with game mechanics specifically. In Retrospective, we go back and look at how something we said in a previous episode has shaken out, and whether our predictions were correct or not. In the Pub Quiz, we answer the previous Pub Quiz's question and discuss it, and then provide a new question to be answered in the next Pub Quiz segment. The questions will cover all aspects of Eve, and will also give some insight into the way Eve is or the way it has changed. The player-driven counterpart of Know your Lore. Here, we examine, usually with a guest, the player-created stories of New Eden. Locke discusses an aspect of the market and producing for it in this short Freakonomics-style segment. For when we really want to just ask questions of our panelist. Often reserved for CCPers. EVE Online and the EVE logo are the registered trademarks of CCP hf. All rights are reserved worldwide. All other trademarks are the property of their respective owners. EVE Online, the EVE logo, EVE and all associated logos and designs are the intellectual property of CCP hf. All artwork, screenshots, characters, vehicles, storylines, world facts or other recognizable features of the intellectual property relating to these trademarks are likewise the intellectual property of CCP hf. CCP hf. has granted permission to Hydrostatic Podcast to use EVE Online and all associated logos and designs for promotional and information purposes on its website but does not endorse, and is not in any way affiliated with Hydrostatic Podcast. CCP is in no way responsible for the content on or functioning of this website, nor can it be liable for any damage arising from the use of this website.